A type of structure peculiar in the counties (English and Scottish) that adjoin or are close to The Scottish Border. They are generally situated within 20 miles of The Border. These are defended stone-built farmhouses usually dating from the 16th-17th centuries AD. They are two storied with thick walls, small windows and had internal access to upper living quarters. This was usually through a trapdoor and ladder through the barrel vault roof of the ground floor - though stairs in the thickness of the walls could also be used. (This variant is common in Scottish - and one in Northumberland is noted at Woodhouses, near Holystone). The lower door could be barred and protected against fire by a quenching hole. 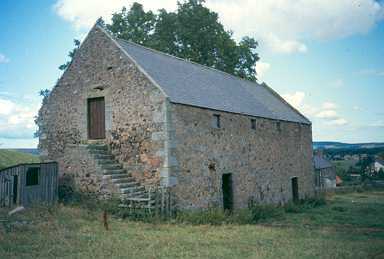 The ground floor was used to house animals where they could be protected from theft by the Reivers. The upper floor was for the family. Most were subsequently modified when living conditions were more peaceful following the union of the crowns in 1603AD, and some are still lived in. They were built and lived in by well-off families.